RAMPUR: Senior Samajwadi leader Azam Khan on Monday tried to defend himself by claiming that he did not make any objectionable remarks against film actor and BJP candidate from Rampur Jaya Prada. It is to be noted that Azam is also fighting the Lok Sabha poll from Rampur. Khan issued the clarification after he allegedly made a below-the-belt remark against Jaya Prada, sparking ahuge controversy. The SP leader made the ‘derogatory’ remark while addressing a public rally in Rampur. Talking to ANI, Azam Khan stressed that he did not take Jaya’s name and he was ready to not contest the poll if proved guilty. “I have said that people took time to know real face in reference to a man once said that he brought 150 rifles with him and if he sees Azam, he would have shot him dead. My leaders also did a mistake. Now, it has been revealed that he has an RSS pant on his body. Short is worn by men,” Khan told ANI. Khan claimed that the media had misinterpreted his remarks because he is not liked by media. “I am disappointed. Media did not like me; I also did not like them. They have caused damage to the country,” he said. 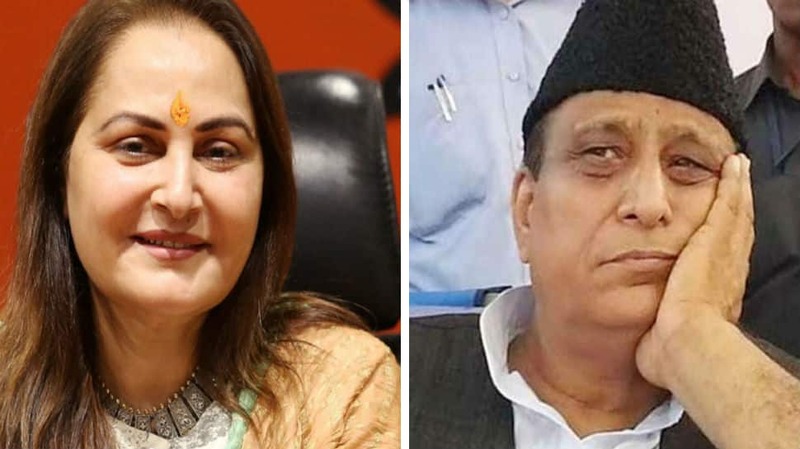 Meanwhile, National Commission for Women Chairperson Rekha Sharma on Sunday said that Azam Khan’s alleged below-the-belt remarks against Jaya Prada were “extremely disgraceful” and said the women panel will be sending a show cause notice to him. Rekha tweeted saying that the NCW would also request the Election Commission to bar him from contesting elections. Jaya Prada had won the Rampur Lok Sabha seat in 2004 and 2009 on SP ticket but she was expelled from the party in 2010 for her alleged involvement in anti-party activities. The actor-turned-politician had joined the BJP in March. last month. The voting for 80 Lok Sabha seats in Uttar Pradesh is scheduled to be conducted in all seven phases with eight seats going to vote in the first phase on April 11. The counting of votes will take place on May 23.